Okay, so you've gotten your first tank, and it’s fully cycled. Whew. Glad that ordeal is over. But you have to be careful. There are still a few beginner mistakes that will trip up a new fishkeeper. I’ll recount some of the big ones here and ways to avoid them. When you are just beginning you get a lot of advice from a lot of people. Some of it will be good, but some of it will be bad. The majority advice will from pet stores will fall under the bad category. The large chain stores like Petsmart and Petco are notorious for this. I can’t tell you how many times I’ve heard someone say “But this is what the lady at Petsmart told me to do,” when I asked why they were doing something wrong. It’s actually in pet store’s short-term benefit to give bad advice because it leads to stress on the fish. Stressed fish get sick. And where do you buy medications to cure the illnesses? The pet store. So instead of just making money from the tank, the fish, the décor, and the filter, they also make money on the medications. And they sell a lot of them. So to be safe, double check whatever advice you get from pet stores. For the most part they are thinking about money not your fish. While this usually won’t kill your fish, it will do your tank more harm than good in the long-run. I’ve heard people say they want to use the tank as a night light, but people often forget that fish need sleep, too. They don’t have eyelids and can’t block out light like we can. All living thing have a circadian rhythm; this is basically your body’s clock. Scientifically it’s a series of hormonal responses that govern a variety of processes in the body from hunger to the need to use the bathroom. It makes you sleepy before you normally go to bed. It’s how your dog always knows when it’s feeding time. Fish have this, too. Part of the circadian rhythm is the day/night cycle. The circadian rhythms of fish are directly related to the amount of light. These changes in light govern things like metabolism, sleep, and breeding behavior. 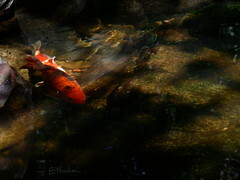 Sleep in fish is induced by an absence of light much in the same way as with humans. Without a period of darkness the hormones that govern these processes won’t be produced. As a result of this, the fish won’t live a normal existence. Excess light in the aquarium will also lead to outbreaks of algae. Some algae is normal. No healthy tank is without it. But when it starts to take over the walls and coat the décor, it becomes a nuisance. One of the easiest ways to get rid of algae is to reduce the amount of light coming into an aquarium which usually means reducing the amount of time the tank light is on. This leads me to my next point. There is no fish that will do this for you. Algae eaters (and not all fish that are advertised as such will eat algae) may physically remove the algae, but it’s not gone. They just convert it into poop. This poop decomposes to become ammonia which is algae fuel. Combine this with the lights being left on too long and you have a recipe for even more algae. I’ve also seen people get substrate fish like cories and loaches for the purpose of cleaning the tank. They want something to eat the food the other fish miss. But when these fish aren’t given some kind of supplement they often die of malnutrition (yes it is possible to underfeed). All fish in all levels of the aquarium must be fed. Even the true algae eaters like the oto catfish and farlowella catfish need supplements from time to time. I’ll take this moment as aside to talk about the fish that are commonly sold as algae eaters and the problems most come with. These fish include plecos, Siamese algae eater, Chinese algae eaters, and oto catfish. These fish are often “buyer beware” as the labels in the pet store rarely tell you everything you need to know about them. Plecos only graze algae when they are juveniles and actually become predatory scavengers as they age. The adults need levels of protein similar to most community fish. They often achieve this by latching on to the sides of slower moving fish like discus and goldfish. Some species like the bristlenose (Ancistrus spp) will stay small enough for a regular community, but the fish commonly traded as “common pleco” will get over a foot long and need a very large aquarium. The Siamese Algae Eater (SAE) is another one that can cause problems as there are three fish traded under this name: true SAE (Crossocheilus langei), false SAE (Garra cambodgiensis), and flying fox (Epalzeorhynchos kalopterus). All of these fish look remarkably similar, but have different behaviors. The true SAE and false SAE are both peaceful provided they are maintained in groups of more than 5 individuals, but false SAE won’t eat algae like the true SAE. The flying fox is the bad apple; they are rather nasty to members of their own species and any other fish that likes to be near the substrate. They hardly ever touch algae. The name of the Chinese algae eater (Gyrinocheilus aymonieri) is rather misleading as it won’t eat any algae either. 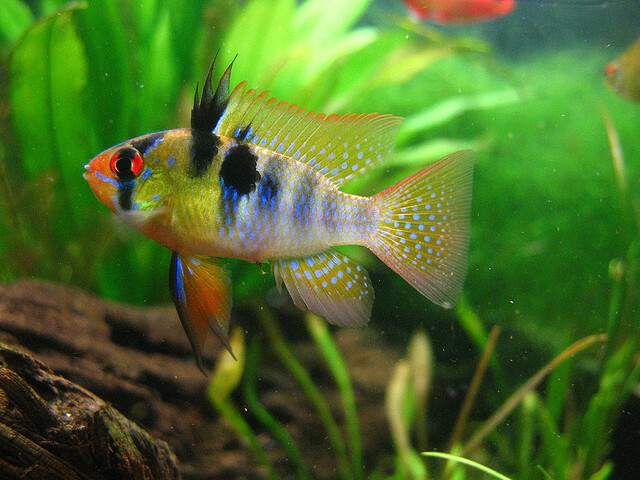 It’s also rather aggressive and not recommended for either a community aquarium or algae control. Oto catfish are actually very good at keeping an aquarium free of algae, but they are a rather fragile fish and still need supplements to be healthy. It’s another major problem that plagues the new aquarist. Every single time you walk by the aquarium, the fish are at the front, and they’re begging for food. They always look so hungry, and you want to feed them. Just because fish look hungry doesn’t mean you should feed them. It’s a good thing that your fish are acting hungry. A hungry fish is a healthy fish. But overfeeding can change that. When you overfeed (add more than the fish can consume in a minute) then the extra food sits at the bottom and decays. This releases more ammonia into the water and contributes to the overall nitrate level in the tank. The decaying food will also lower the pH in the tank as well as use up oxygen. 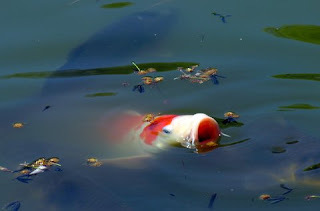 Even if you remove the uneaten food, the fish will poop more when they are fed more. This poop will also decay and cause the same problems as uneaten food. “But they always look so hungry.” I know. But fish metabolisms operate much differently than a mammal’s metabolism. Because we have to spend so much energy maintaining our core body temperature we need to eat a lot of food. Fish don’t need half the calories we do because they don’t heat their bodies. In fact, most healthy adult fish can go about 2 weeks without eating and still remain fine. I’ve seen a few beginners make this mistake, but not as many as you would think. Sometimes the pet store employees encourage the purchase of products to stabilize pH, and other times people just see them and assume they are necessary because they believe a perfectly neutral pH is essential for fish. In most cases these products are not needed at all and can actually harm the fish by creating a constantly changing environment as they rarely ever stabilize the pH. Fish are adaptable, and many of the best beginner fish will adapt to any pH within a normal range (6.0 – 8.0). Stable water is always safer than water with a rapidly changing pH. This is probably the second most common mistake after trusting the pet store. Too many fish added to a tank too fast will cause problems in any tank, even the established tanks of old pros. Adding a lot of fish at once creates a large influx of ammonia. The beneficial bacteria that comprise a cycle don’t replicate that fast and need time to adjust to large changes. In the meantime, the ammonia is poisoning your fish. Whenever you add fish, you will have an increase in ammonia, but if you add them a few at a time, the influx will be small enough that the plants and bacterial colonies can easily take care of it and grow accordingly. In an uncycled tank, adding a large amount of fish can be deadly. They will be producing ammonia at a fast rate and there will be basically no bacteria to take care of it. Ammonia levels can rise to fatal amounts within a matter of days. This is called new-tank syndrome. It’s easily avoidable by either cycling the tank with a small number of very hardy fish or by cycling the tank before you add the fish. The most important thing to remember is this hobby is about patience. I've heard it said that nothing good happens fast. Plants and fish don’t grow overnight and neither do the good bacteria. If you need a “fish fix” in the meantime, join a fish forum and talk to other hobbyists! “10 Biggest Mistakes in Fishkeeping.” practicalfishkeeping.co.uk. Updated: 2 December 2011. Retrieved 1 Aug 2012. Helfman, G. S et al. 2010. The diversity of fishes, second edition. Wiley-Blackwell, Oxford. Zhdanova, I. V. and S. G. Reebs. 2006. Circadian rhythms in fish. Pages 197 - 238 in K. A. Slowman, editor. Behaviour and Physiology of Fish, vol 24. Gulf Professional Publishing.